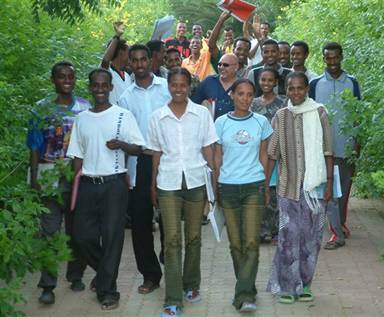 The La Salle Agro-Technical school of Hagaz is situated in the Gash-Barka region of Eritrea. 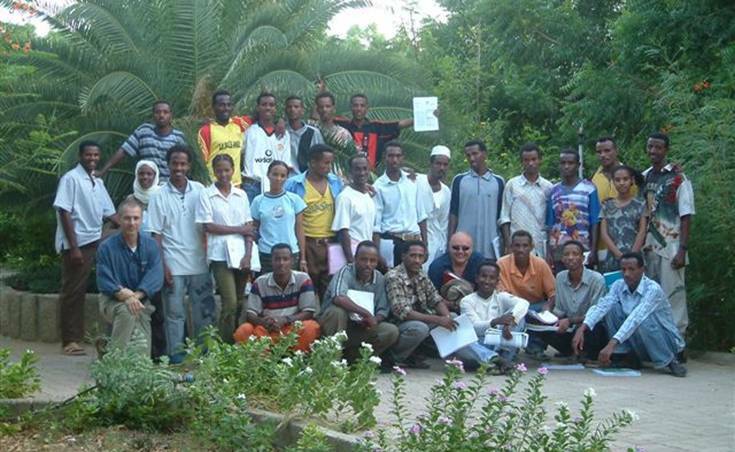 This real dream, an oasis in a barren land, was realized under the guide of Brother Amilcare Boccuccia, and since 1999 has been providing high quality education in Agronomy and Veterinary Science. When we visited the school (2005 and 2006), the school accommodated about 300 young male and female students coming from almost all the nation’s ethnic groups. Wonderful trees and a comfortable pergolas give refuge from the scorching sun overhead. Modern and well-equipped computer laboratory gave the student the opportunity of taking advantage of the most recent way of teaching. The modern farm (with automatic milking system, “high producing” dairy cows and good management) and the wine factory (“Shaluku wine”, delicious) were feathers in the school’s cap. 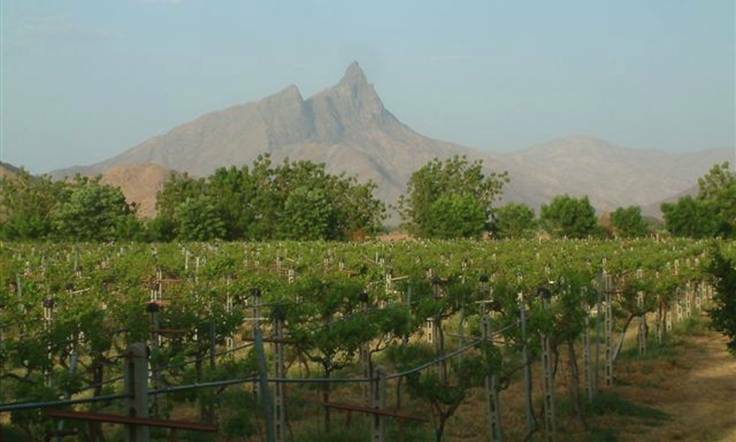 The name of the wine was taken from the Shaluku mountain, the wonderful massif that separates the village of Hagaz from the Town of Keren. Aim of the project was to provide a didactic support in different topics of the veterinary sciences. The teaching activity was planned to be held by professors and skilled veterinarians by giving intensive courses of 2-3 weeks. 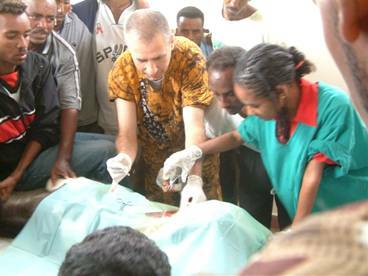 Students or young graduated veterinarians were planned to accompany the lecturer helping him during practical trias and continuing the practical trials for other weeks after the lecturer’s departure. The first courses were held by Massimo Lugli and Arcangelo Gentile in May 2005. 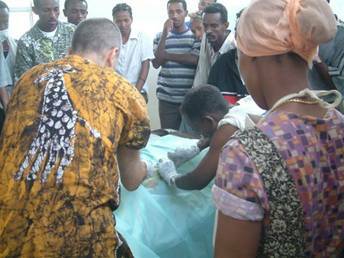 They gave lectures in the following topics: clinical examination, gynecology and obstetrics. Unfortunately, due to local problems the project has been interrupted. Let's hope it might start again soon.